Ready to discover incredible and affordable destinations for summer? I’ve researched trends and prices around the globe to find these 10 spots ideal for a great summer vacation that won’t break the bank. From the off-season Caribbean to a stunning South Pacific island, there’s a destination for every vacationer at a great price this coming season. San Francisco is typically not the first city that comes to mind when you say "affordable," but thanks to new flight routes and lower hotel prices, the city and nearby wine country make for a great—and affordable—summer getaway this year. Flights: Round-trip airfare from New York is well under $400 for the summer months—CheapTickets.com found average air bookings to be $392 and StudentUniverse found fares as low as $279. Allegiant Air is debuting nonstop flights to Sonoma from Phoenix and Las Vegas. And Alaska Airlines already offers direct flights from Los Angeles, Orange County, Portland, San Diego, and Seattle. Alternatively, check Oakland and San Jose airports for even cheaper prices from more regional destinations. Keep in mind that because of their proximity, you can easily fly into any of these airports to reach either San Francisco or Sonoma. Accommodations: HotelTonight found the average daily room rate for San Francisco hotels to be $205 per night and Sonoma County hotels to be $199 per night. Priceline.com also found average hotel prices to be moderate at $215 per night, with rates starting at $86 per night for a three-star hotel in July and August. If you're really looking to save, consider the highly rated USA Hostels San Francisco, with rooms starting under $60 per night. What to Do in Summer: There are plenty of free and inexpensive ways to see San Francisco and Sonoma. With temperate summer weather, biking and walking tours are an ideal way to see the city on a budget. 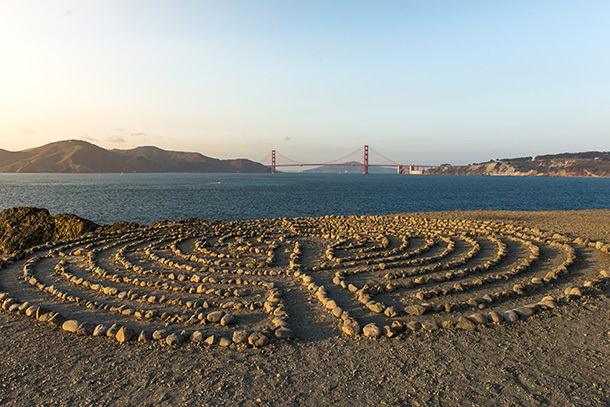 Bike the Golden Gate bridge and explore Lands End (part of the Golden Gate National Recreation Area) or charming Sausalito located on the other side of the bridge; walk around the vintage shops and cafes in Haight-Ashbury; or catch a Giants game at AT&T Park. Sonoma, which is only 30 miles north of the Golden Gate Bridge, has over 425 wineries, 100 organic farms, and 50 miles of coastline. It makes for a great addition to any Bay Area vacation. Rent a bike and camping gear through California Touring Bikes and explore its multi-day route ideas, starting at $105 per day including camping gear. Or opt for a free self-guided vineyard tour through Vineyard Adventures, which offers walks of seven different wineries in the area. Yes, June marks the beginning of hurricane season, but that ensures an abundance of off-season deals. If you're looking for a paradisiacal destination and willing to risk the weather, the Caribbean should be on your list for summer. Thanks to some geographic luck, the Southern Caribbean islands are more protected from hurricanes—although we still recommend going with travel insurance. Look at Aruba, Curacao, Barbados, and Trinidad and Tobago for a safer bet if you want to avoid rough weather. Flights: StudentUniverse found round-trip flights for the summer months under $350 from New York for the following islands: Puerto Rico, Bahamas, Trinidad and Tobago, Bermuda, Aruba, U.S. Virgin Islands/St. Thomas, Dominican Republic, and Jamaica. 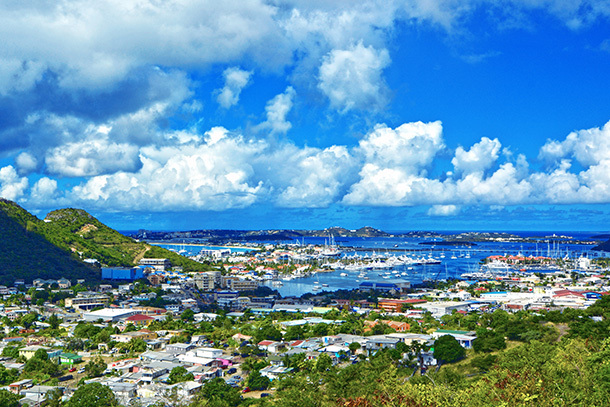 CheapTickets.com also reported that Dutch Saint Maarten, Aruba, U.S. Virgin Islands/St. Thomas, and Barbados have an overall savings of 20 percent or more for the off-season. Accommodations: Many hotels are offering discounted nightly rates when you book more than one night, and tons of resorts are offering great package deals. For example, at Frenchman's Reef & Morning Star Marriott Beach Resort in St. Thomas, for $257 per night you get room accommodations, a night kayaking tour or catamaran sail trip, admission to St. Thomas Coral World Ocean Park, and access to private Morning Star Beach. Curacao and Trinidad hotel deals can be found well under $150 per night, with the Floris Suite Hotel in Curacao starting at $89 per night and Trinidad's Coblentz Inn Boutique Hotel from $105 per night. Check out other hotel deals on St. Maarten, Turks & Caicos, and Nassau Paradise Island. Cruises: MSC Cruises has summer promotions on many of its sailings from Miami to the Caribbean on MSC Divina, with packages starting as low as $279 per person for three and four night cruises, and $499 for seven night cruises. What to Do in Summer: The same things you can enjoy the rest of the year, just at a fraction of the cost; snorkeling, scuba, and fishing tours are all much cheaper this time of year. Check out the Cayman Island's "Summer Only in Cayman" promotion for deals up to 20 percent off peak season prices. Come summer Curaco offers music festivals like Viva La Musica Latina and Amnesia Curacao. A strong U.S. dollar makes Canada extremely affordable and accessible for Americans right now. Summer is a great time to visit Toronto, since it's a time of favorable weather and plenty of outdoor events. Flights: CheapTickets.com found average round-trip flight prices from New York to be $163 for the summer months and priceline.com deemed August to be the cheapest month for flights. Toronto is also a short flight from the Northeast and Midwest, making it a quick, international weekend getaway. Accommodations: HotelTonight found average hotel prices of $158 per night. If you're looking to book, the Omni King Edward Hotel is offering 20 percent off summer stays in addition to other promotions. Or, opt to stay at the trendy HI-Toronto hostel, with starting rates under $40 per night. The hostel also has bike rentals and free city tours to make the most of your budget. What to Do in Summer: Summertime in Toronto is great for foodies. There's the Taste of Toronto and Toronto's Festival of Beer, as well as South by Southwest's counterpart, North by Northeast (NXNE). Toronto is less than a two-hour drive to the Canadian side of Niagara Falls; Algonquin Provincial Park and Blue Mountain also make for great outdoor day trips from Ontario's capital. With the summer months comes desert heat, but also incredible savings across the Grand Canyon State. With its state parks, rising culinary scene, and swanky desert hotels, there are plenty of affordable ways to make the most of a summer trip to Arizona. Plus, it's an easy day's drive from the West Coast and South, so you might not even need a flight. Flights: StudentUniverse found prices as low as $252 round-trip from New York to Phoenix for the summer months with CheapTickets.com finding the average flight price to all Arizona airports at $322 round-trip from New York. And if you're really looking for the best deal, priceline.com reported that flights are cheapest from New York in August. Accommodations: CheapTickets.com calculated the average nightly hotel price throughout the state to be $185, and HotelTonight reported average summer nightly rates at $79 per night in Scottsdale and $72 in Phoenix. It’s a great time to book at Sanctuary Camelback Mountain Resort and Spa in Paradise Valley, which has rates starting as low as $209 (over 45 percent off the average rate) for shoulder season. For an even more inexpensive option, FireSky Resort in the heart of Old Town Scottsdale has starting rates at $99 per night. In up-and-coming Tempe (just south of Scottsdale), the Tempe Mission Palms Hotel is offering 20 percent off with a "Summer Scorcher" deal starting at $149 per night. Arizona Grand Resort & Spa has summer starting rates at $89 per night. And, the brand new AC Hotel located on Tempe Town Lake has a summer rate of $130 per night. What to Do in Summer: Tempe Town Lake outside of Phoenix is a great way to cool off, and there are over 100 shops, restaurants, and bars in the Mill Avenue District in Tempe. 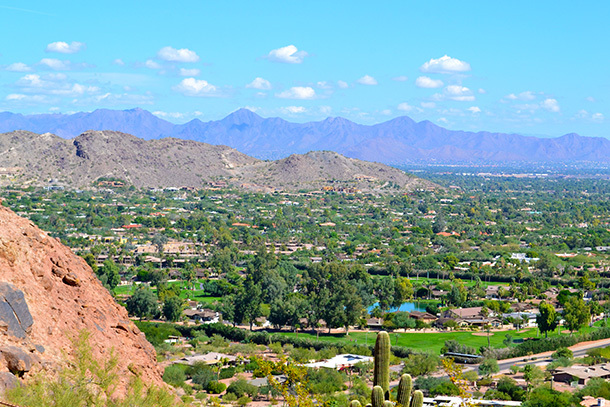 Phoenix is also a great base for day trips to many of the state's natural wonders like Tonto Natural Bridge State Park and Slide Rock State Park (one the country's famous swimming holes). While the South Pacific island chain requires an overnight journey, there's never been a better time to visit this bucket-list destination. With a strong U.S. dollar and new flight routes, it's cheaper than ever to discover this dreamy island. Flights: With Fiji Airway's new seasonal flights from San Francisco (in addition to direct Los Angeles and Honolulu routes) you can get to Nadi for under $900 round-trip. Right now, fares from Los Angeles and San Francisco are $899 round-trip, and StudentUniverse found round-trip airfares from New York as low as $1,481. Accommodations: There's a wide range of hotel rates on the islands, and while major resorts tend to have higher prices, there are plenty of comfortable hotels under $200 per night. Check out Koro Sun Resort and Rainforest Spa deals offering 40 percent off, Fiji Hideaway Resort & Spa starting at $119 per night, The Warwick Fiji with rates 30 percent off, and Wananavu Beach Resort, which is offering 50 percent off room rates. 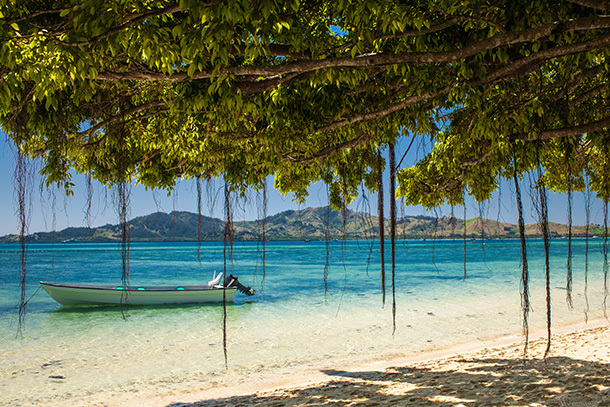 Things to Do in Summer: Summer is the best time of year to visit Fiji, when daily temperatures range from the mid-60s to the mid-80s and it's the dry season so you won't encounter any typhoons. With warm temperatures, a rising culinary scene, and easy access from the Midwest and Northeast, Syracuse is a summer destination on the rise. It makes for a great road trip destination, and is a quick and affordable flight from most of the U.S.
Flights: CheapTickets.com put average prices from New York to Syracuse at $180, and StudentUniverse found fares as low as $147 round-trip. Priceline.com found the cheapest flights from New York for travel in July. Accommodations: Average hotel prices for the summer months are around $153, according to CheapTickets.com and priceline.com found hotel rates at three-star hotels starting at $84 per night for the month of August. The former Hotel Syracuse is set to reopen as the Marriott Syracuse Downtown on July 4th, with rates starting at $219 per night. The hotel has been restored to its original 1924 glamour, and will have three new restaurants and street-level shops. The hotel has welcomed numerous luminaries including John F. Kennedy to John Lennon. Things to Do in Summer: Explore Syracuse's rich history on a self-guided walking tour or enjoy urban activities like shopping, dining, visiting museums and galleries, and catching Broadway shows. There are over 40 golf courses, 50 parks, lakes that are great for boating, and many wineries and breweries. Check out Visit Syracuse for more inspiration. With new direct nonstop flights from seven major U.S. cities, Portugal is becoming a serious gateway to Europe from the U.S. East Coast. Summer is an ideal time to enjoy the food, history, and beaches of the Azores, Porto, Lagos, and Lisbon. Travel + Leisure even named Lisbon the least expensive capital city in the European Union in its latest issue. Flights: StudentUniverse found fares starting at $691 round-trip from New York, and priceline.com found the cheapest fares from New York in July. Recent direct service debuts include United to Lisbon from D.C., SATA from Providence to the Azores, and TAP to Lisbon from JFK and Boston. Accommodations: HotelTonight found average summer hotel prices of $81 in Porto and $104 per night in Lisbon. Priceline.com found average nightly rates at three-star hotels in Lisbon starting at $28 per night for June, $32 per night for July, and $50 per night for August. TripAdvisor keeps tabs on the latest special hotel offers in Lisbon and Porto. Things to Do in Summer: Starting in June, the historic CP Portuguese Rail steam engine will run from Peso da Regua to Tua along the Douro River Line in Northern Portugal. For under 40 euros, you can enjoy wine and the picturesque three-hour ride. There are also festivals like FORTE Festival, which takes place in a castle in Montemor-o-Velho; Porto's Festival of St. John of Porto; and Mare de Agosto on the Azorean Island of Santa Maria. 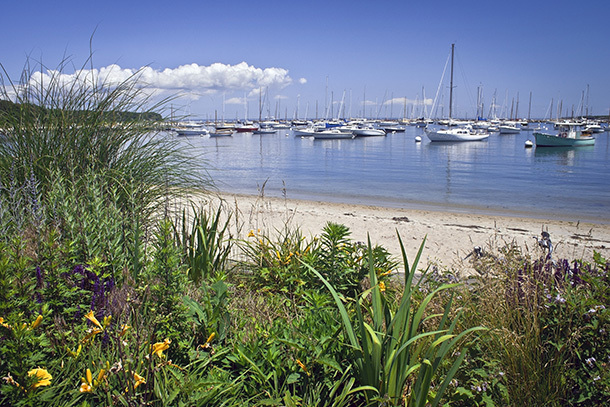 Experience a quintessential New England summer on this well-known Massachusetts island. This summer, you won't even need to break the bank to enjoy this popular summertime destination. Ferries: Ferry access from Hyannis, Wood's Hole, New Bedford, New York City, and New Jersey means you can avoid summer traffic and enjoy your ride to the island. Once you're on the island you can get anywhere you need to with a bike, taxi, or Uber, so you don't need to worry about a car. Flights: If you do want to fly, Cape Air, Delta, American Airlines, and JetBlue fly direct to the island from most major Northeast hubs. Flying is much faster than taking a ferry, and you can find cheap flights midweek and on non-holiday weekends. Accommodations: Lark Hotels just opened a brand new location in Oak Bluffs, Summercamp, with affordable opening rates starting at $149 and a 10/20/30 deal ($10 credit at "Camp Canteen" store, 20 percent off rooms, and $30 credit for future Lark Hotels stays) for its first season. It's also worth checking out vacation rentals if you're traveling with a group, since that will score you extra amenities at a lower price than hotels. Just keep in mind that most rentals require a full week's stay, typically from Saturday to Saturday. Things to Do in Summer: Get outside and enjoy the island's golf courses, bike paths, and beaches. The towns of Edgartown and Oak Bluffs have great bars, restaurants, and shopping. 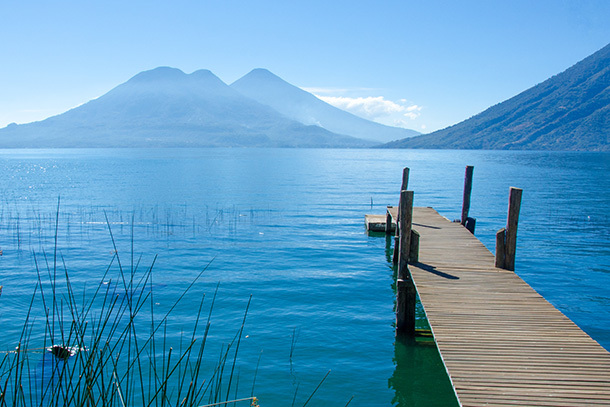 Summer is the undiscovered perfect time to visit Lake Atitlan. Since summer is the region's wet season, discounts are abundant—but unlike in many other Central American spots, Lake Atitlan's rainy season is softened by plenty of sunshine. With a favorable exchange rate and cheap prices, Lake Atitlan is a perfect affordable bucket-list destination. Flights: StudentUniverse found low fares from New York to Guatemala City for $337 round-trip during the summer months. Priceline.com reported the cheapest fares from New York in the month of August. Low-cost carrier Spirit flies direct from the U.S. from Miami, New York, Dallas, Los Angeles, Houston, Washington D.C., and Atlanta. From Guatemala City, Lake Atitlan is about three hours away; you can take a shared van starting at $25 per person, or opt for a private shuttle service. Accommodations: Casa Palopo, a luxury boutique hotel located in the Lake Atitlan's indigenous town of Santa Catarina, has rates starting at $154 per night. And, on TripAdvisor, many four-star hotels in villages surrounding the lake come in at under $100 per night. Things to Do in Summer: Hike or walk the nearby volcanoes. Hop a boat to explore the dozen Maya villages around the lake. Get in a horseback ride, go kayaking, or take a yoga class. And enjoy authentic local food at low prices; since this area is popular with backpackers, tourist prices tend to remain affordable. 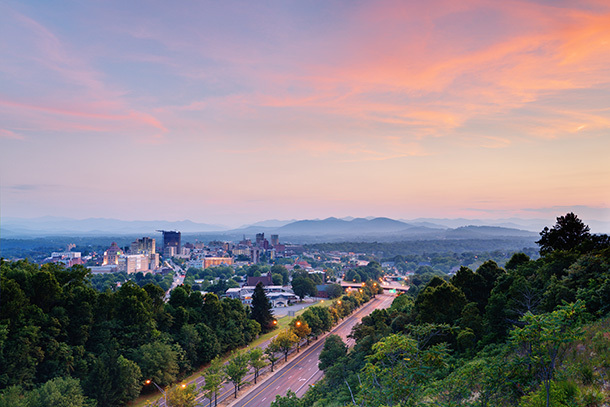 Asheville, named one of SmarterTravel's 10 Best Outdoor Towns in America, is a perfect summertime destination with outdoor activities and easy access from the East Coast and South. It's a day's drive for over one third of the U.S. population, so a flight might not even be necessary. And since it's still an up-and-coming destination, prices haven't yet escalated out of reach of bargain travelers. Flights: StudentUniverse found low fares starting at $266 round-trip from New York for the summer months, and Priceline.com reported average round-trip airfare to be lowest from New York in August. And, Allegiant Airlines just started a new direct route from Baltimore-Washington D.C. to Asheville for as low as $37 one-way. Accommodations: HotelTonight averaged nightly hotel prices for the summer months at $123. Priceline.com found three-star hotel rates from $92 per night for June, July, and August. Check out TripAdvisor's Asheville deals page for up-to-date summer deals. Asheville is also a great destination to consider a vacation rental. Check out Carolina Mornings for rentals. Packages include a Biltmore Estate pass, zip-line ride, and white water rafting adventure. Things to Do in Summer: With the Blue Ridge Mountains to the north and south of town, rock climbing at Chimney Rock State Park, mountain biking in Pisgah National Forest, and rafting on the French Broad River, there is no shortage of outdoor activities. The Great Smokey Mountains National Park and town of Hot Springs are both a short drive away. For a more urban experience, Asheville offers coffee shops, galleries, a music scene, shopping, wineries, breweries, and a growing culinary scene complete with a James Beard nominated restaurant, Chai Pani, which offers meals under $12 per person. Editor’s Note: All prices were valid at the time of publication and are not guaranteed. For the most up-to-date prices and information, contact the provider directly. To be eligible for StudentUniverse fares, you must be between the ages 18-25. Thank you to CheapTickets.com, priceline.com, StudentUniverse, and HotelTonight for providing data and prices. Ashley Rossi loves bringing you affordable destination spots for each season. Follow her on Twitter and Instagram for travel tips, destination ideas, and off the beaten path spots. Send her an email if you have an off-season or secretly inexpensive destination you love visiting in the fall for next season’s round up of affordable destinations.